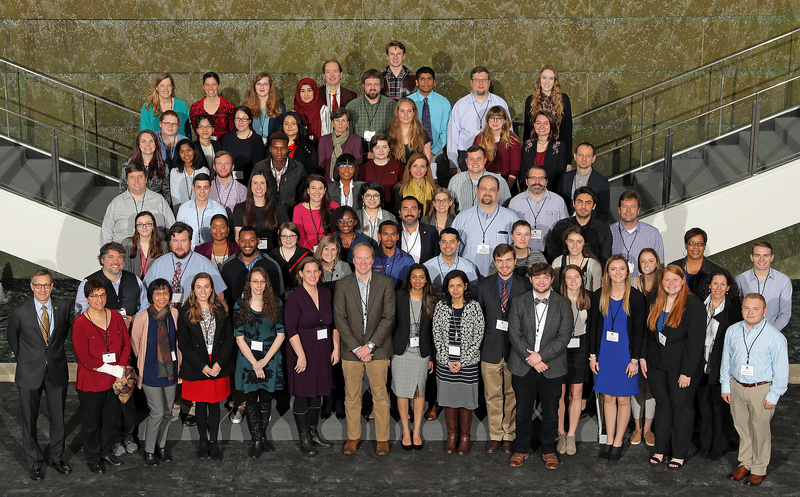 SPARTANBURG, SC— Based on the talent, knowledge, and enthusiasm demonstrated by undergraduate researchers at this year’s SCICU Research Symposium, these students have bright futures in fields as diverse as chemistry, music, public health, and environmental science. The Feb. 21 SCICU Research Symposium gave students from SCICU member colleges and universities the opportunity to showcase the findings of the research conducted in the previous year. The symposium, again hosted by Milliken & Company at their customer center in Spartanburg, featured multimedia presentations on research topics that also included medical issues, literature, history, and psychology. Please click here to review the research projects included in the research symposium. SCICU, with the support of generous donors, funded $90,000 in support of 33 research projects during the 2018 research cycle. Donors supporting the 2018 Undergraduate Student/Faculty Research Program include The Belle W. Baruch Foundation, Blue Cross Blue Shield of South Carolina, Bon Appetit, Russell D. Cook, Mills B. Lane Foundation, Milliken Foundation, and Nephron Pharmaceuticals. In the SCICU Undergraduate Student/Faculty Research Program, prospective undergraduate researchers face submission and project constraints similar to what they will experience in their professional careers. Each November, SCICU issues a call for undergraduate student research grant requests through the chief academic officers at its 20 member colleges and universities. Undergraduate researchers, supported by subject-area faculty mentors, submit detailed proposals to SCICU for project funding. The deadline for submitting proposals to SCICU is usually late February. Based on the subject areas of student projects submitted for funding consideration, SCICU amasses a team of subject-matter experts from its 20 member colleges and universities. The review team then meets late March/early April to select research projects for funding. After the review panel conducts a rigorous review of proposed research methods and funding requests, SCICU announces project selection, and students can begin research immediately. All research activities conclude usually by Dec. 10. After the conclusion of research activities in December, students submit one-page abstracts to SCICU by the end of the following January. At that time, the clock is running down quickly for the researchers to submit their presentation materials for A/V compilation required for the upcoming symposium scheduled for late February. The deadline for the 2019 research cycle was in late February. The next step in the 2019 research cycle will be the competitive review of projects for SCICU funding in early April. Prospective student researchers will be informed of project funding by mid-April, with research permitted to commence immediately. SCICU is happy to announce that Milliken & Company has already offered to host the 2020 SCICU Research Symposium, which is scheduled for February 20, 2020 at Milliken & Company headquarters in Spartanburg, SC.